Her natural flair for food, business savvy, and pure passion has made Bhojanic a standard bearer of this cuisine in the area. “Bhojan” in Hindi means “food.” It is also the act of eating. In either case, the word has positive connotations associated with high satiety—that comes not only from the food itself, but from the whole experience behind it. And that, in a nutshell—the food and the experience—is what Archna Malhotra Becker has been able to offer consistently, and judging from the success of her two locations, excellently. The food, the friendly service, the ambiance, the décor, and the live music (on certain nights) are staples of a fine dining experience; and yet very few Indian restaurants are able to get them all correct. Bhojanic is one of those rare few. It is certainly one of the most written about Indian restaurants in town with glowing reviews in Atlanta Magazine, The Atlanta Journal-Constitution, Creative Loafing, Emory Wheel, and many more. 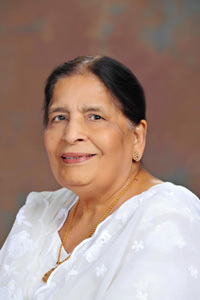 Nirmala Arneja, Becker’s grandmother. Bhojanic’s menu was inspired by her hearty, wholesome home cooked food, and she continues to play a vital role in shaping the menu and the food. She was 11 when her parents brought the family to America. In her new home, Becker’s passion for food acquired another dimension. At 14, she began working at restaurants. “I got a job and I worked at every restaurant, from fast food to fine dining. I worked at Dairy Queen, Pricci, and I was also a pizza delivery driver during college,” she recalls. Perhaps inspired by this early exposure to the food industry, her entrepreneurial streak kicked in during the early 1990s when she convinced her parents to co-found Atlanta North Indian Catering (ANIC), a catering company. The company catered for venues such as the Atlanta Convention Center and Emory University. Older now, and wiser, she took her time conceptualizing her new venture. “I spent two solid years doing research and concept building for Bhojanic. She researched websites across the world and, paradoxically, learnt a lot about what not to do. During this planning stage, her early work experience helped tremendously. A natural in the food industry, Becker had learned the A to Z of food management from the many chefs and restaurant staff she’d worked with. Downhome traditional meals—with some modern twists. 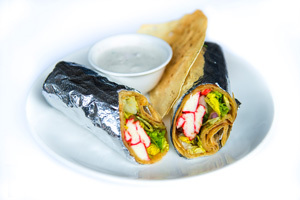 Bhojanic opened as an ahead-of-its-time Indian fast casual place in Decatur and initially, was only open for dinner two nights a week, aiming for a concept similar to Eatzi’s. 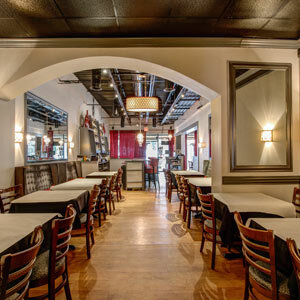 The new restaurant generated positive feedback; Bhojanic’s first review by Bill Addison, when he worked at Creative Loafing, “made a huge splash” says Becker. Another review in Knife and Fork by Christane Lauterbach had a great impact, attracting plenty of curious customers. However, the 2-day format didn’t quite pan out. There were complaints that the new restaurant was “never open,” so Becker and her family decided to take the plunge, turning Bhojanic into a full service restaurant. With her father Surinder Malhotra, who was earlier the executive chef of Bhojanic, and now continues to play a vital role in shaping the food. 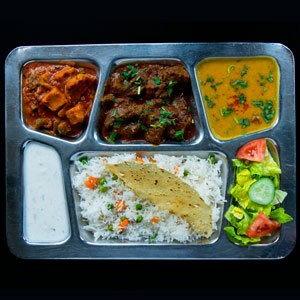 Becker’s grandmother, Nirmala Arneja continues to be consulted on all the dishes served in the restaurant. For many years, Becker’s father played the role of executive chef. Today, there’s a professional culinary team in place, but the family’s hands-on style continues with Becker and her parents overseeing their work. “The menus are decided by a team of people including front of house managers and me, my father, my mother, and my husband,” says Becker. Going where traditional Indian restaurateurs had never been before, Becker networked proactively with the Atlanta community to grow her business. Since the time she’d helped her parents set up their catering company ANIC, Becker had developed a good relationship with Emory University near which Bhojanic is located. To educate the mainstream about the nuances of Indian cuisine, Becker started cooking classes in 1999 and continues to do so around town. Through the medium of food workshops, she also participates every year in many community fundraisers; a recent one raised funds for the Atlanta Community Food Bank. Stylish interiors, a hip, young, and friendly staff, live music on certain nights: these— along with the quality food—are the staples on which Bhojanic has thrived.